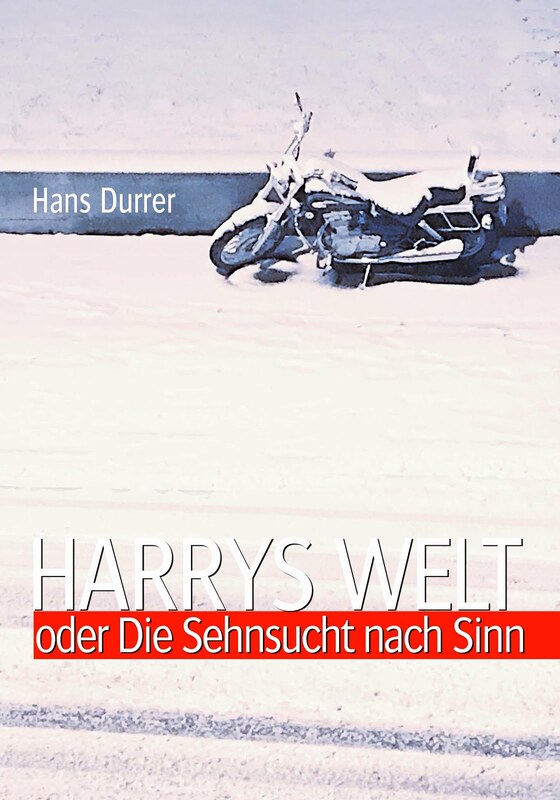 This is a great book! Chiefly for two reasons: 1) It makes me ponder things I've never really thought about and it does so in a way that I find intriguing – it felt as if I was watching the author think. 2) Armando Benitez is an original thinker – and most authors are not. 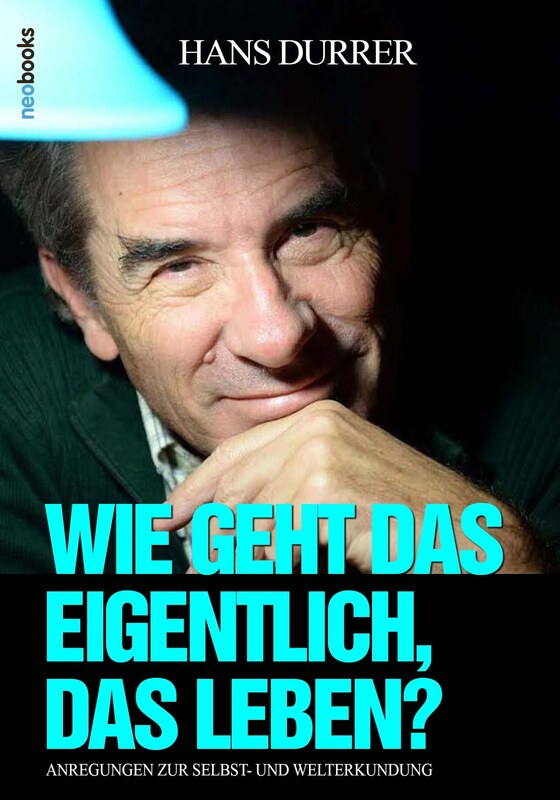 "Psychologists and other busybodies continually tell us that we can change ourselves. But how often can they provide us with examples to show that the accepted methods of accomplishing this are the right way? Not very often." One of the reasons that we are not very eager to correct our defects is that they make us what we are. And, to correct them would make us "an entirely different person. And most humans have no desire to become another person." Superstitions shouldn't be relinquished, argues Armando Benitez, for there is "a rational and logical reason for them." They also might serve a useful purpose. Fortune & Misfortune deals primarily with how to improve our luck. "The way to change our luck for the better is by tackling the chore through small increments, which each little victory over our destiny strengthening us for the next assault ...". 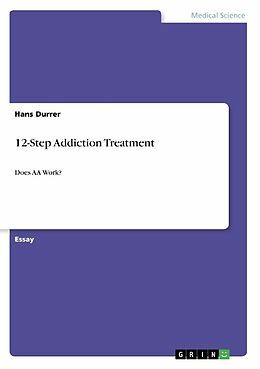 This is also useful advice for people who suffer from addictions. Armando Benitez addresses questions that most of us do not even recognise as questions. Take for instance the argument "that our chances of being struck by a lightning bolt (about 600,000-to-one) are better than our chances of winning the lottery." Such thinking assumes that the chances are the same for everyone. But they are not for "we can increase our chances of being struck by lightning. We can go out on a lake or river in a small open boat during a thunder storm; we can take shelter under a lone tree in an open meadow; we can hold up a long metal object – fishing pole, golf club, driller's loading pole, surveyor's aluminium stadia rod – during lightning and thunder activity." 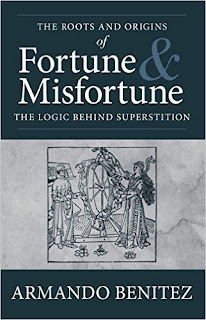 Fortune & Misfortune is not only cleverly argued but also a fun read. 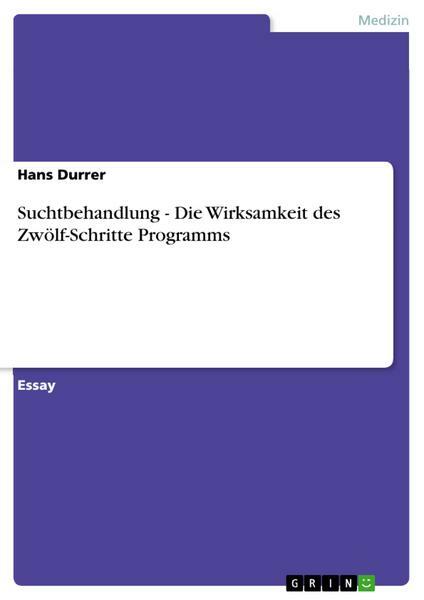 Just have a look at these titles: Escaping poverty by eating rich foods; Is Daydreaming a Dangerous Enterprise? Armando Benitez has inhabited many diverse realities – "I have been broke and without a job more times than I care to remember" – and has gone through a variety of changes which he attributes "to the application of the metaphysical truths I have discovered". Quite some of these he shares in this book. 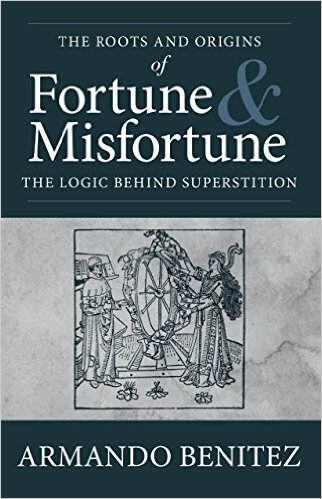 Fortune and Misfortune is a fascinating journey into the realms of the arcane that results, among quite some other things, in making the case for the rational basis of superstition.